The World Baseball Classic is already ridiculous. That’s not to say it isn’t fantastic. We’ve had the glorious flair of the Javier Baez tag. There was the social media fury over Eric Hosmer pinch hitting for Paul Goldschmidt. Best of all, one country will practically have a national holiday to celebrate a championship (unless it’s the United States, in which case there will be a few moments of warm feelings followed by most fans wondering when the players can get back to their real teams). But it’s most definitely ridiculous. Players participate in a tournament for national glory in March, the absolute worst time of year from a competition standpoint. The best pitchers in the world have lower pitch limits than children in Little League. Italy and Israel field players that have never even been to those countries. It’s all in fun; usually we spend this time of year just rooting against injuries. Baseball has an opportunity here to embrace the inherent ridiculousness of the WBC. They are partially seizing this opportunity with the rule that places a runner on base in extra innings. We should see this as a starting point, not an anomaly. This could be a gateway to some truly revolutionary ways to grow interest in the game. To that end, here are four suggestions, in order of (relative) plausibility, to get ridiculous with the WBC. One of the goals of the WBC is to grow the game internationally. Countries that barely play baseball whatsoever are represented in qualifiers, such as Pakistan and Czech Republic. The most blatant omission from the tournament is Finland, where they play a version of baseball called pesäpallo. Considered by many to be the national sport of Finland, pesäpallo is a fast-moving game in which the pitcher must throw the ball at an arc high above the head of the batter. 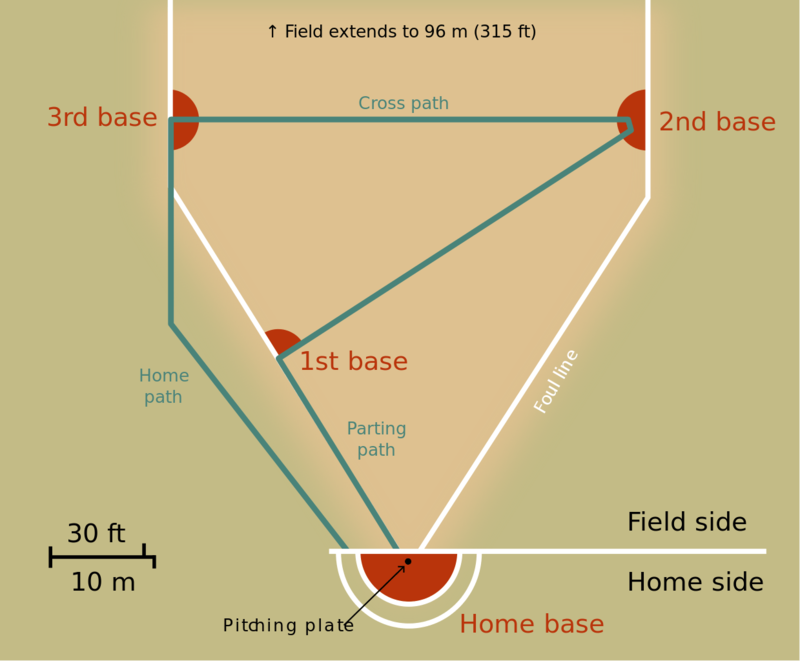 First base is halfway between home plate and third base. There are three “jokers” which are essentially designated hitters. To engage our Finnish friends in the WBC, we could make a compromise: Each WBC game would be six innings of baseball followed by three innings of pesäpallo. In addition to the sheer novelty of forcing Andrew Miller and Dellin Betances to essentially throw eephus pitches, the strategy involved would be a fantastic thought experiment. The field looks like a baseball diamond if Henry Chadwick had been on hallucinogens. There’s no left or right field! Where would you position Jose Bautista? For that matter, where would you position Francisco Lindor? The possibilities are endless! Finland isn’t the only country snubbed from WBC qualifiers. Nepal has not one, but TWO baseball leagues: the Nepal Baseball and Softball Association and the Nepal Baseball Federation. The former has 1,645 likes on Facebook and the latter 1,307 as of this writing. One can only imagine a fierce and bitter rivalry the likes of which compares to the Yankees and Red Sox. No matter, they can unite for national pride in the WBC. Nepal is a small country and baseball is far from widespread. This puts them at a competitive disadvantage. What better way to give them a boost than with home field advantage? Nepal is home to Mount Everest, the world’s tallest mountain. At 29,029 feet in elevation it is roughly six times higher than Coors Field. How far could Giancarlo Stanton hit a baseball at that elevation? Sadly, we may never know. Why do teams have to be divided by country anyway? There are lots more creative ways to roster a baseball team. Baseball is the greatest game in the world but many other sports have more interesting looking players. Turn on any international soccer game and check out the fantastic hair! A WBC based on physical characteristics could encourage ballplayers to be more visually appealing. Team Beard would have a nice middle of the order featuring Bryce Harper, Evan Gattis, and Mike Napoli. Perhaps they could coax Brian Wilson out of retirement, and not because they’re short on pitching. King Felix could lead Team Neck Tattoo. Javier Baez literally has the MLB logo tattooed on the back of his neck! Unfortunately the Yankees just disqualified Clint Frazier from Team Awesome Hair. Red Sox would be well represented on Team Needs a Booster Seat in Restaurants with Mookie Betts, Andrew Benintendi, and Dustin Pedroia. Mike Trout is a pretty standard looking fellow, but could one of the aforementioned teams recruit him to change his appearance? What would we need to do to convince Clayton Kershaw to join Team Earring? Imagine if MLB players played for their actual baseball teams in the WBC Never mind. That’s just a normal season. Moving along. Chappelle’s Show was a sketch comedy show that ran from 2003 to 2006 on Comedy Central. If you aren’t familiar, you should look up clips online because it was hilarious. Dave Chappelle explored topics primarily related to race relations. In the first episode of Season Two, there was a sketch called The Racial Draft in which several different races drafted celebrities to become official members of their racial demagogic. Seriously, you need to watch the clip right now. We probably can’t (or at least shouldn’t) speculate on which players would be willing to enter the draft. But if they held the draft on primetime on MLB Network, the ratings would be sky high. That is the essence of what the WBC is about: not just high ratings, but creating an entertaining baseball product for fans to enjoy (as well as all that national pride stuff). Perhaps in time baseball will be willing to try some less traditional means to entertain its fans.